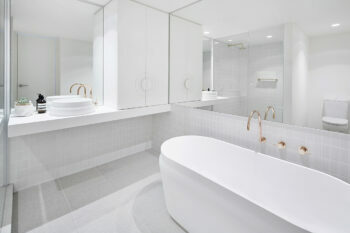 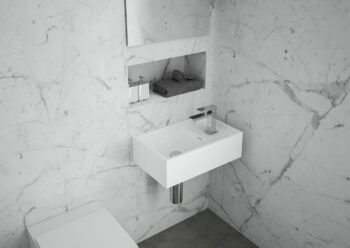 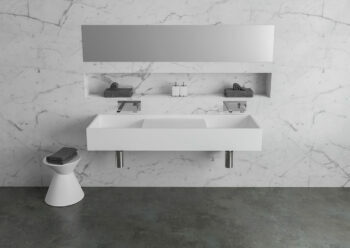 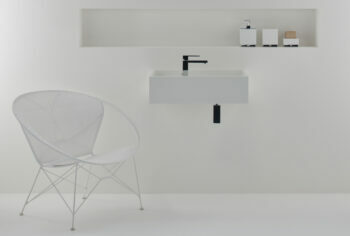 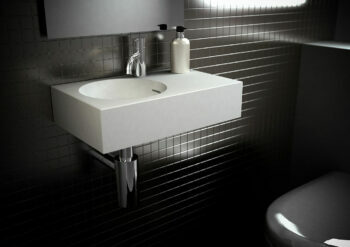 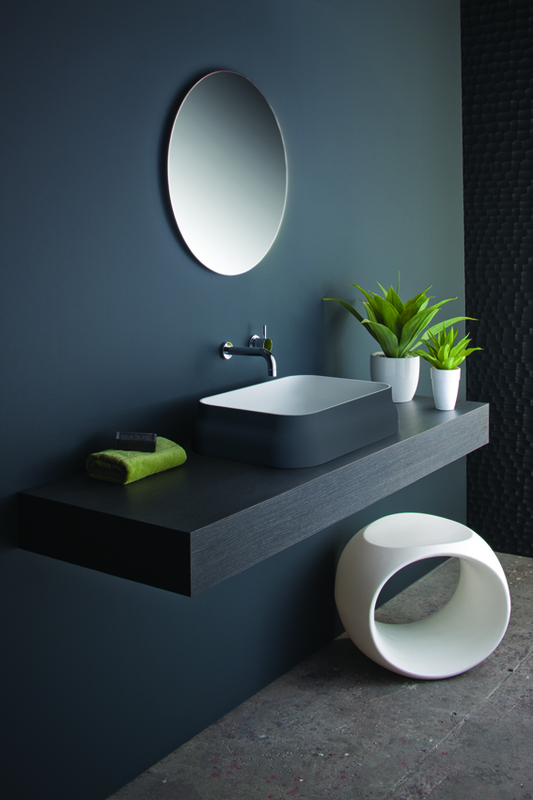 Softskin is a contemporary and dramatic way of introducing colour and contrast into your bathroom. 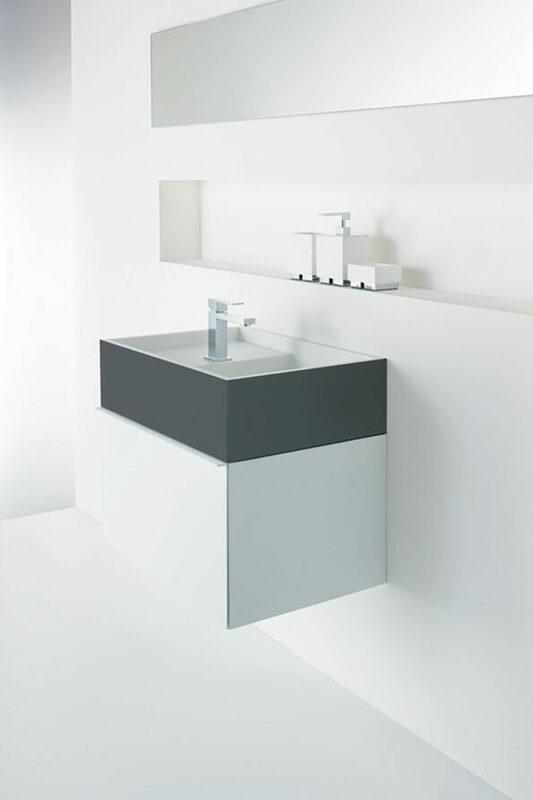 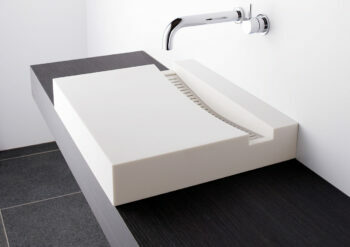 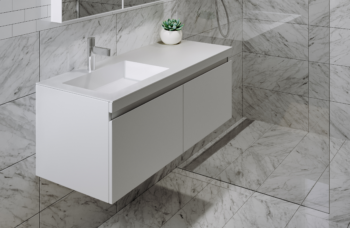 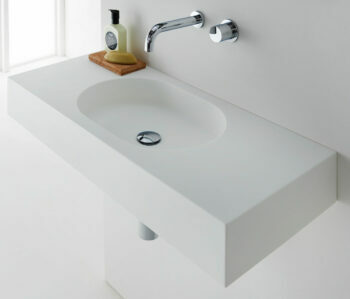 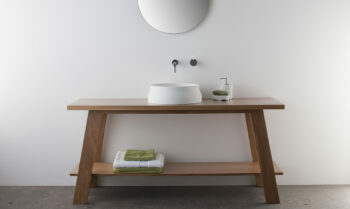 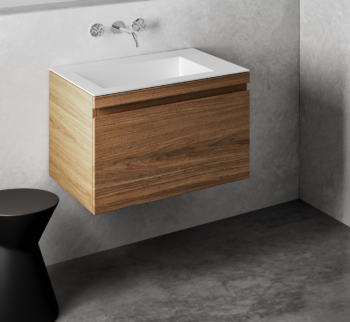 Offered on a range of Omvivo basins and baths, Softskin is a layered finish that is applied to the exterior of Omvivo’s solid surface, producing a stunning two tone effect. 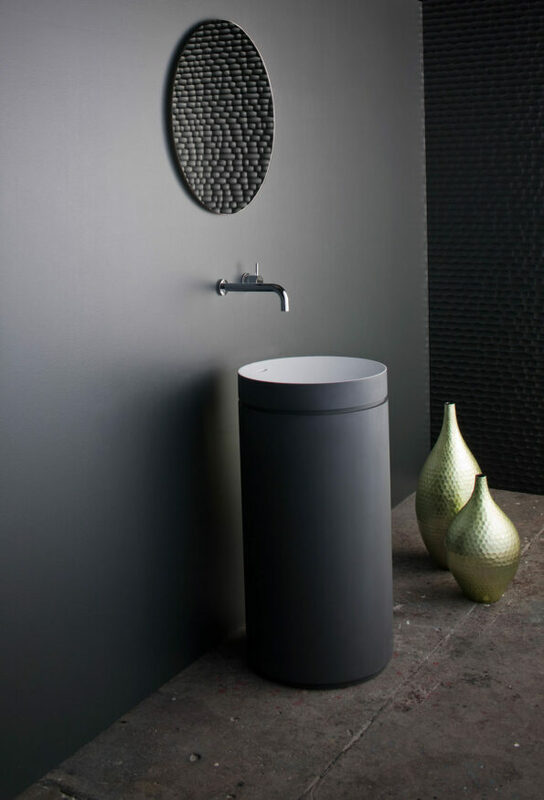 The unique painted finish is created with a rubber compound creating a tactile surface that is soft, warm and very appealing to touch. 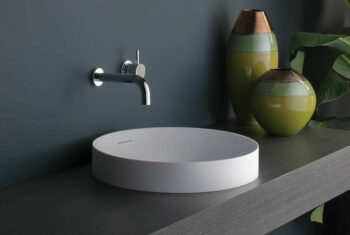 The smooth matt surface is also durable and easy to clean. 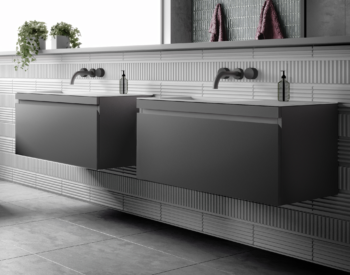 Available in a standard colour palette of Charcoal, Tapestry Beige and Jet Black, Softskin can also be custom coloured when multiples are required offering endless possibilities for residential developments and commercial applications. 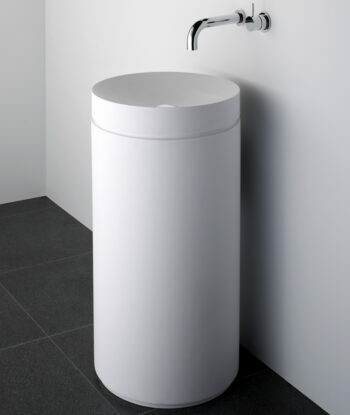 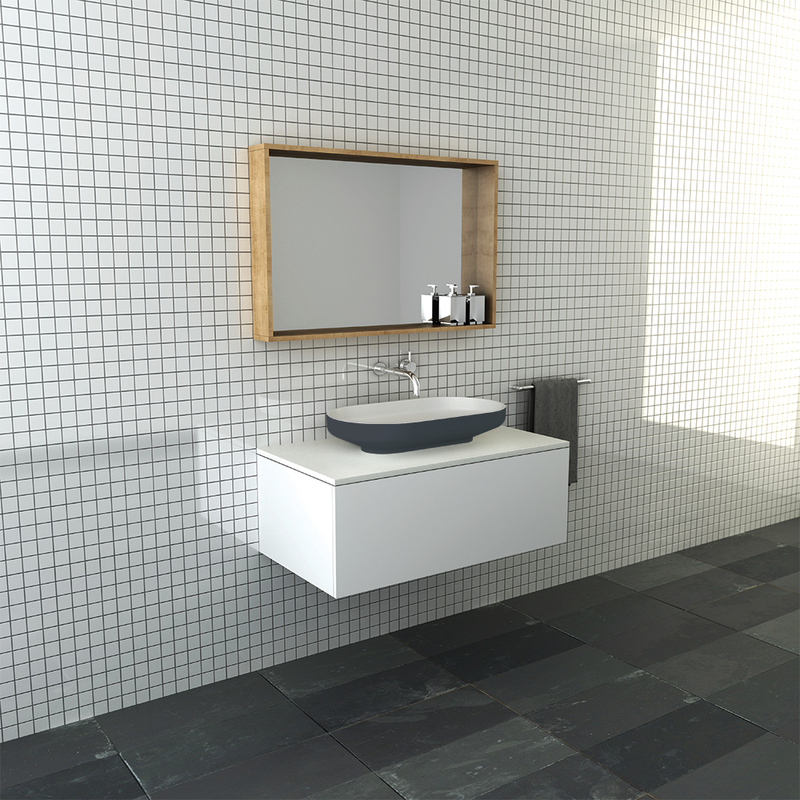 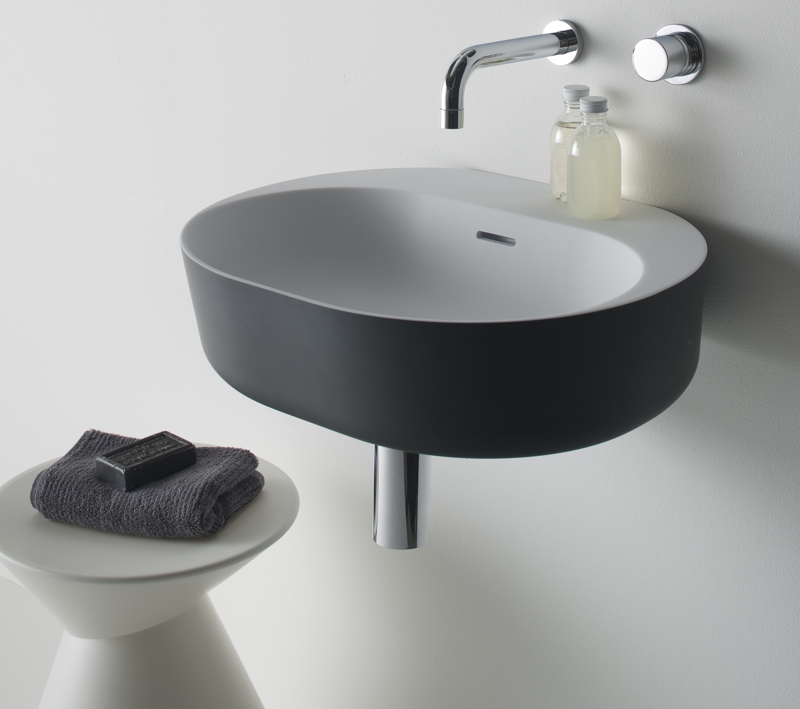 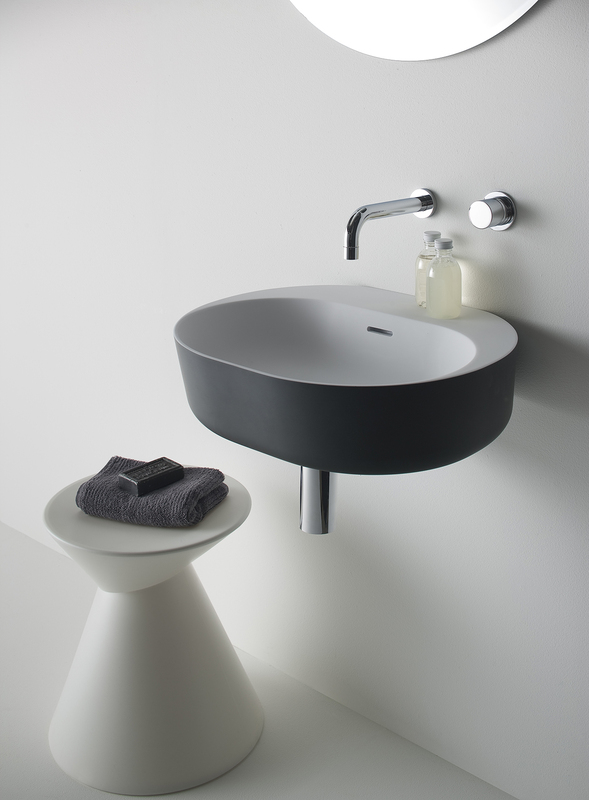 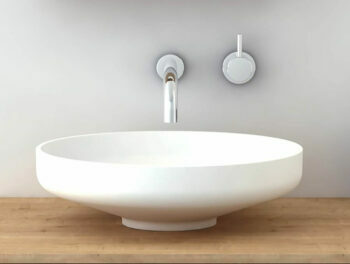 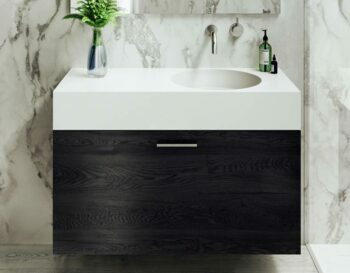 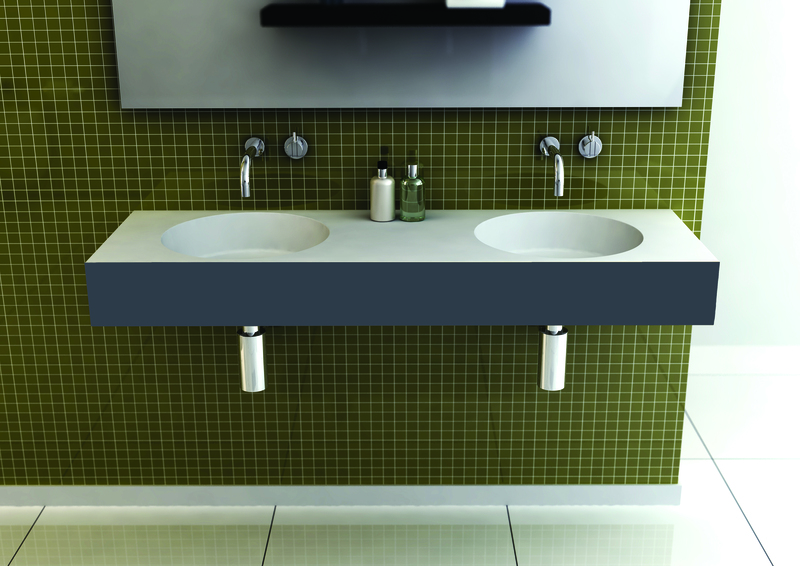 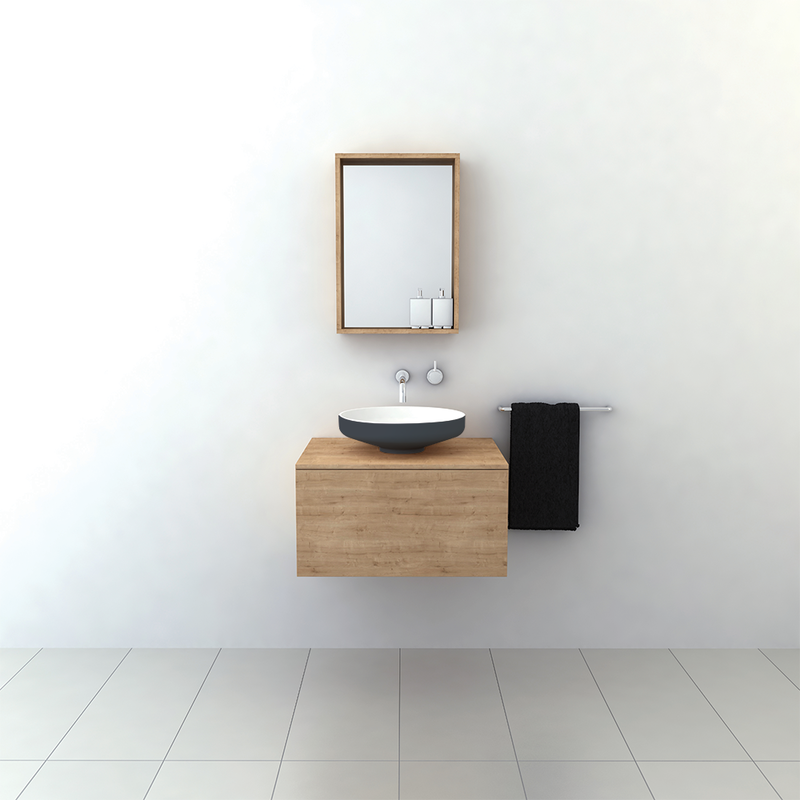 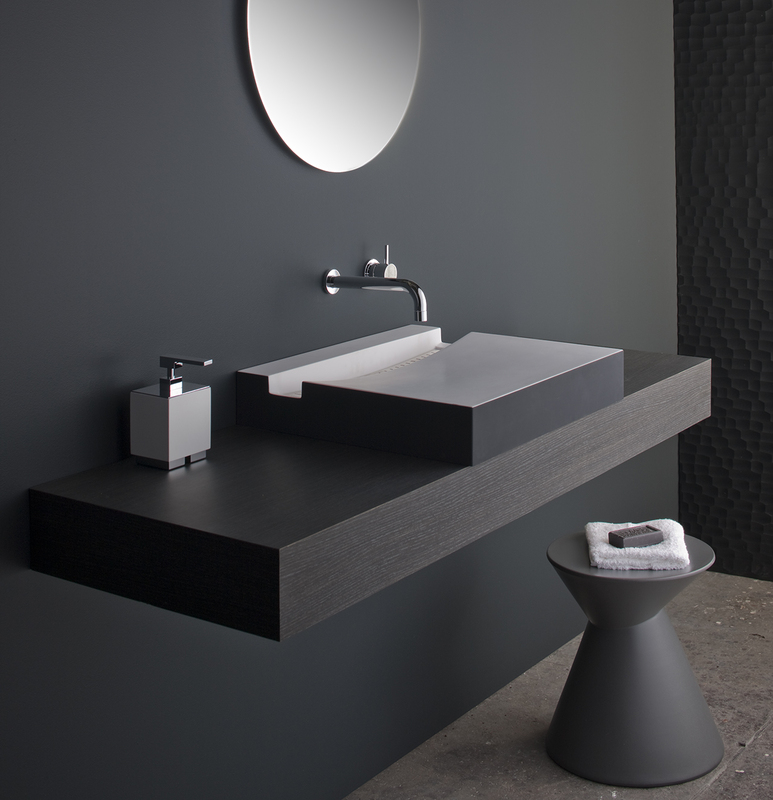 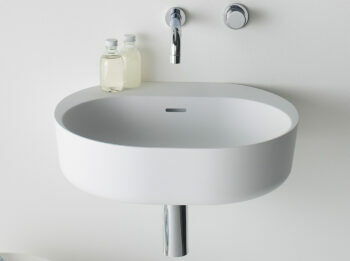 The extensive range of Omvivo basins available with Softskin is ideal for contemporary homes, while the vibrancy and ability to incorporate particular colours including corporate or theme colours is perfect for commercial projects. Restaurants, bars, retail and office amenities can opt for a subtle touch of colour, or a striking contrast in an array of styles.